Varicose veins are enlarged “rope-like” veins that are swollen & raised above the surface of the skin. They can be blue, dark purple or even flesh-colored and often look like a cluster of grapes. Varicose veins are most commonly seen on the inside of the legs and back of the calves. However, they can form anywhere on the legs, from groin to ankle. Varicose veins may progress and cause threatening blood clots or large ulcers on the legs and ankles if left untreated over time. 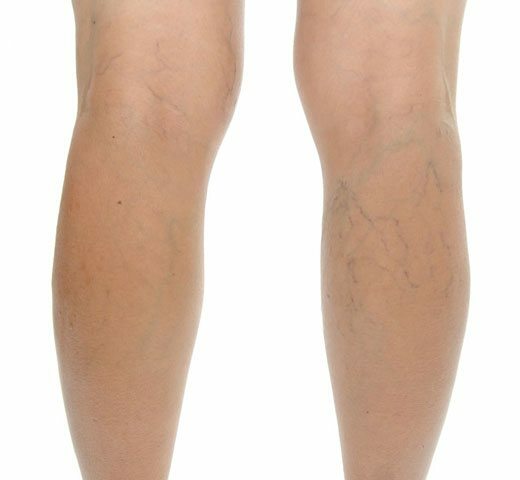 Spider veins are similar to varicose & reticular veins, but they are much smaller and closer to the surface of the skin. They are often red or blue and look like tiny tree branches or spider webs. They can occur anywhere on the body (legs, hands, face) and can cover either a very small or very large area of skin. They don’t bulge like varicose veins, but are often very noticeable and unsightly. Spider veins are not harmful to your health at all. These veins are an unfortunate inevitability with age and may continue to pop up even after treatment. Due to this fact, many patients seek subsequent treatments to maintain vein free legs over time. 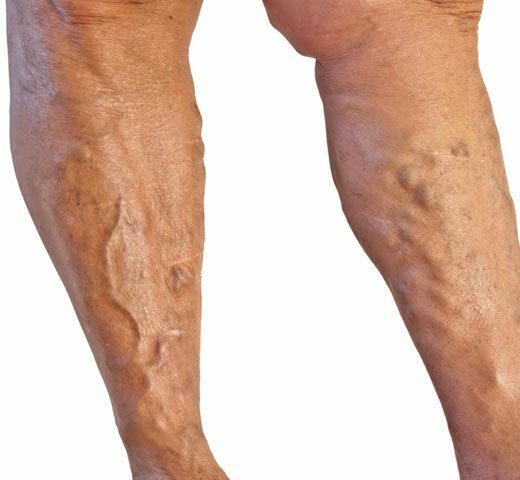 Reticular veins, also known as “blue veins” or feeder veins, may have a similar ropy appearance to varicose veins but are much smaller in size. They occur mainly on the back or outside of the leg, usually around the lower thigh and knee. Reticular veins may feed into spider veins, which are smaller than reticular veins and don’t bulge or cause discomfort. They look like red or blue spider webs on the skin’s surface.